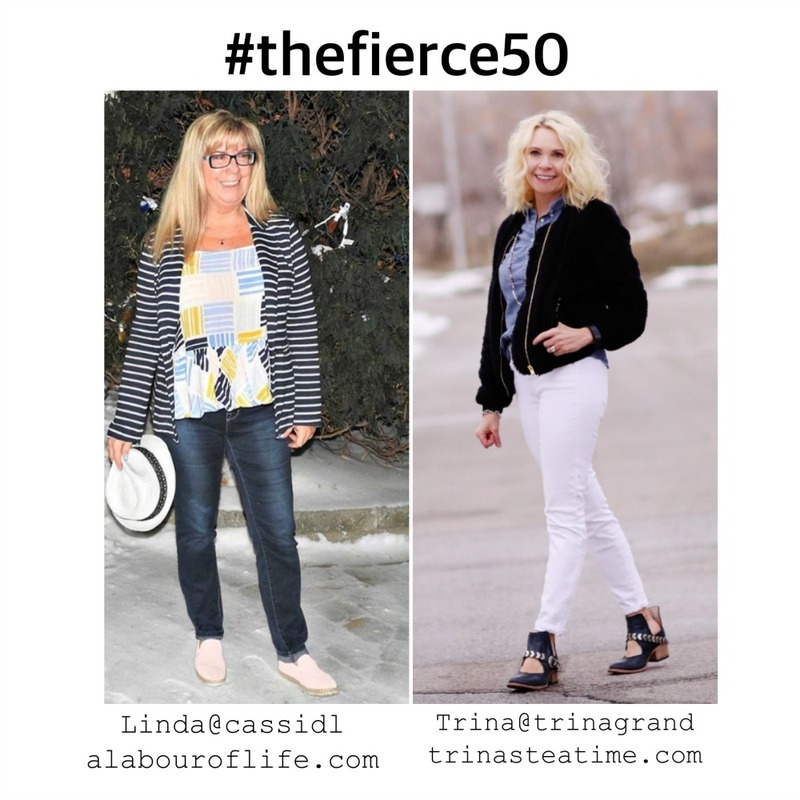 Today, Feb 19th, marks the launch of the first annual Fierce 50 Campaign bringing together over 50 female bloggers over the age of 50 in a celebration of midlife on this, the 50th day of the year! The main focus of this campaign is meant to show that 50 is a time of new beginnings and creation. A time to live life beautifully, spiritually, and creatively and in doing so surrounding yourself with the support and unity of other women. It’s about breaking boundaries . . .
It’s about breaking through the stereotypes . . .
It’s about celebrating the lives of successful women over 50 in all walks of life. Linda lives most her days in Ottawa, Ontario, Canada, which from her photos looks like a beautiful place to call home. Yet don’t get me wrong, when I say most of her days because this women does her fair share of traveling, in fact she just got back from one amazing beach trip. I followed closely on IG and since we’re all about celebrating one another I just cheered her on while she stood posing on the beach (and looking fantastic in her two-piece swim suite) while I a was still wrapped in winter scarves and layers (lol). You can visit all her travels since she does a great job of journaling them on her fun blog and on her instagram account. It won’t take you long to realize Linda is one spunky chic, I mean really really spunky. Just take a look at her photos and you will never see anything other than one fun smiling energetic lady. This amazing lady is happily married (common law), she has two awesome step sons, Ryan and Nic who welcomed her into their lives and hearts 12 years ago. They are both musicians and play in the band ‘The Honest Heart Collective’. Linda says the boys are life long best friends and are the best sons a mom could ask for. She also has a niece, Carly who is like a daughter and older sis to the boys (I don’t know about you, but wouldn’t every girl want an aunt like her). Carly blessed them with a grand-nephew/grandson little Sea Bass in October who is one little Rock Star and the apple of our eye. Once in a while you’ll see this little Rock Star pop up on instagram as well. I believe we were partnered up because of her love of crafting, baking and above all else . . . setting a table and creating tablescapes, talk about becoming soul mates! Yes, this is what women our age do, we celebrate one another, and then we unite together with ideas and cheer each other on! When I asked her what fashion means to her, she said “fashion is what you feel, not what everyone else says it should be. A woman should wear what she loves, not what the media tells you to wear. Fashion is about feeling good about yourself. It’s taking a trend and making it your own. And realizing that age is just a silly number. Well, Linda certainly knows how to make a trend her own and rock it as well! I’ve had a wonderful time getting to know this amazing lady better, it’s easy to see why she named her blog “a labour of life” because Linda is living life to the fullest every single day and is willing and ready to share and inspire others on her journey. 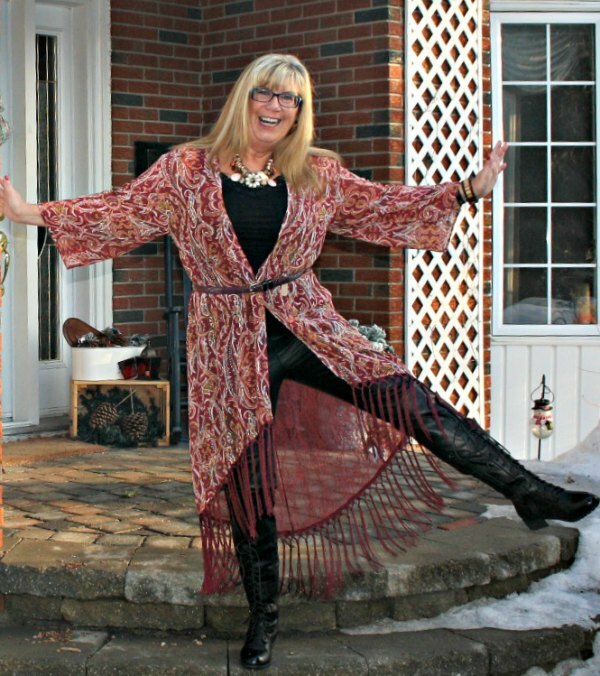 Be sure to take some time to visit Linda’s blog and her IG, it will make her day and I can guarantee it will bring a huge smile to your face. Thank you Linda for being you! *In celebration of the #fierce50 we have some amazing giveaways to share with all of you so stay tuned on face book and instagram for the details on how to enter. 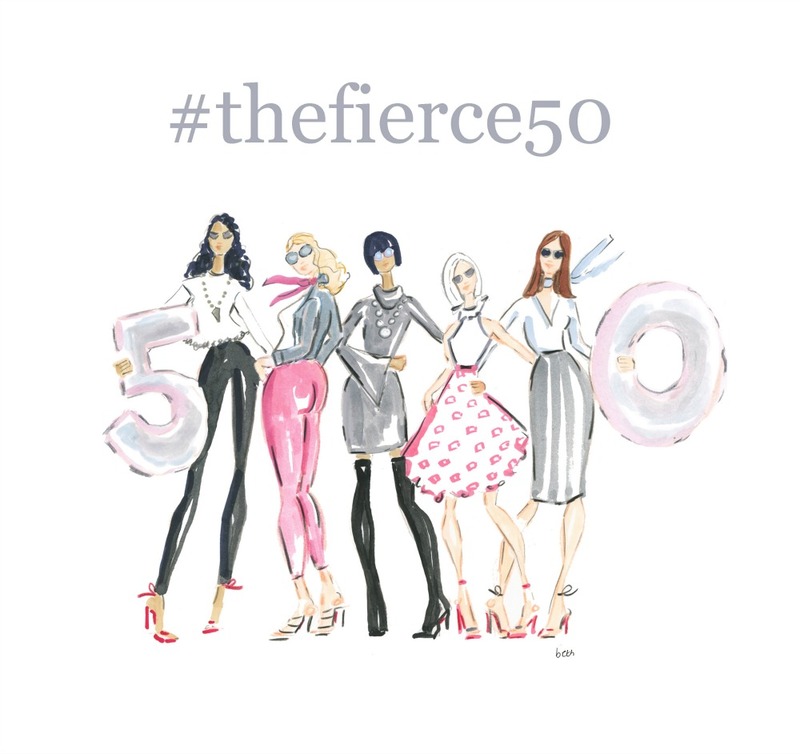 If you’ve enjoyed reading this blog post and would like to learn more about The Fierce 50 Campaign, please visit this site to see an archive where you will find each of the women that were participating in The Fierce 50 along with their blog posts. If you or someone you know is interested in either joining or supporting the movement, please contact info@catherinegraceo.com for more information. We have a lot more planned for this year and beyond so stay tuned! And please join with us! You are such a great writer. I admire all your creative talents. Linda seems like such a fun person. I will definitely check out her blog and IG. Is her grandson named Sea Bass?